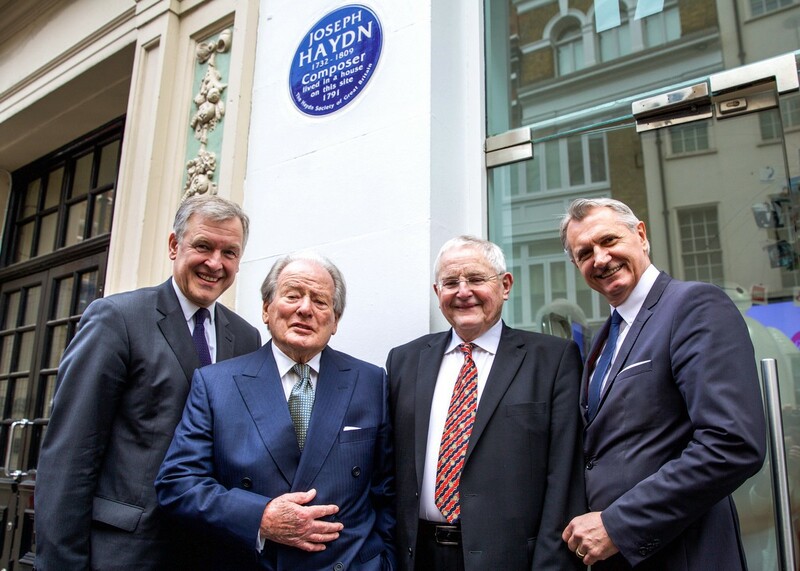 It is with a tremendous sense of pride but also of accomplishment that we unveiled our plaque to Joseph Haydn today at 18 Great Pulteney Street, London. We were totally overwhelmed by the crowd (perhaps over a hundred strong) that gathered to see His Excellency Austrian Ambassador Martin Eichtinger, Sir Neville Marriner and Professor Denis McCaldin, Director of the Haydn Society of Great Britain, finally achieve what seems to have eluded so many others over the previous fifty years of attempts at such a commemoration. After an introduction from Denis McCaldin, Martin Eichtinger spoke at length of Haydn’s life and achievements. 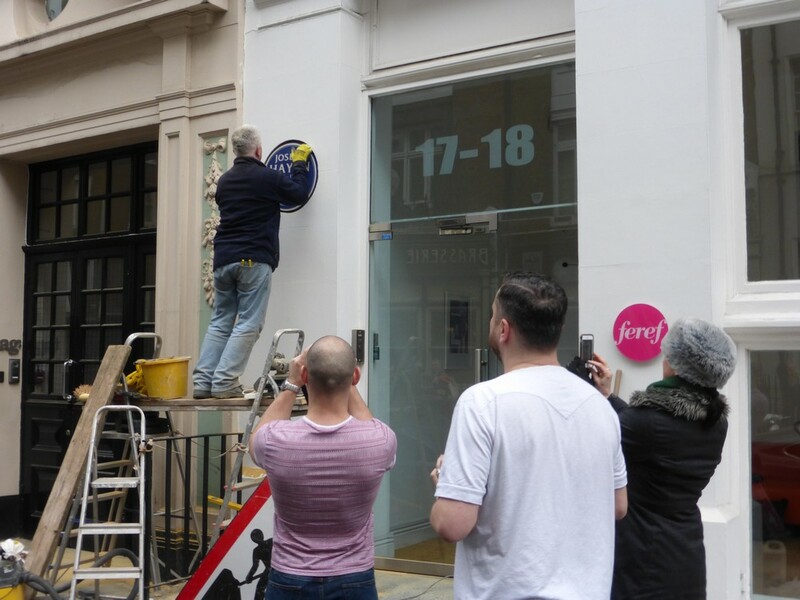 Denis then thanked all those who had contributed money to commission the plaque and have it installed, as well as: the owner of the building; its enthusiastic and welcoming tenants Feref London; and English Heritage and Westminster City Council for their help and support (the plaque has been put up independently of either body but both have been helpful). He then introduced Neville Marriner (reminding us that the conductor has recorded one hundred CDs of Haydn’s music!) and invited him to pull the cord. And, with a few words – tussling, appropriately, with the noisy Soho traffic that Haydn also struggled with – Sir Neville pulled back the curtain and revealed the plaque. The plaque is fixed in the wall, recessed and cemented in place. It’s there for anyone to see, made possible by public support and designed to inspire passers-by to consider the composer and perhaps try his wonderful music.